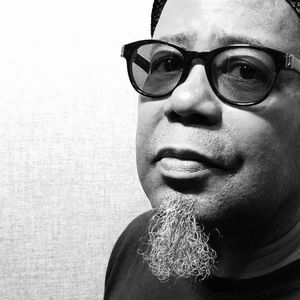 Jazz vocalist – Dwight Trible has released his own version of the famous ‘Tomorrow Never Knows’ originally performed by The Beatles. Bringing his own jazzy yet highly-cosmic twist to the famous psychedelic track, the singer has managed to make it his own, while staying somewhat true to the original song. With lots of improvisation and various instruments joining in throughout the track, it is surely a fascinating take on the song. The artist has been part of the genre’s music scene for a while. Having forged an impressive career as an inimitable vocalist, activist as the godfather of the LA jazz scene, his version of ‘Tomorrow Never Knows’ is all the more interesting as it is known for having been one of the band’s first songs to deal with LSD so effectively. Clash Magazine have described Tribe’s first release on Gearbox Records as “a sublime piece of music” and the jazz singer has definitely caught the attention of many Beatles fans with this. Originally featuring on the band’s album Revolver, the track was made of unusual musical elements such as avant-garde composition and electro-acoustic sound manipulation. It also reminded us of Indian-inspired melodies in the background. It’s no wonder Dwight Trible has let his out-of-space ideas take over in this song, as the original one was already full of various inspirations and ideas. As we discover Dwight Tribe’s improvisational and fascinating universe a little more, the artist is set to release more material during the year. However, we will have to sit tight and wait for a while, as the dates are yet to be confirmed.